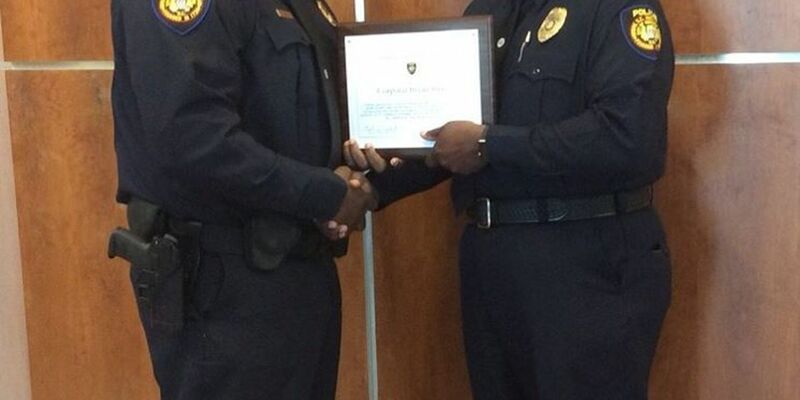 GEORGTOWN, SC (WMBF) - Corporal Bryan Byrd, along with a 911 dispatcher and several firefighters were all recognized March 16 for saving the lives of three house fire victims, according to a Facebook post from the Georgetown Police Department. Chief Waites presented Cpl. Byrd with a Certificate of Commendation and a challenge coin. Cpl. Byrd was also recognized by Chief Charlie Cribb of the Georgetown Fire Department and was presented a letter of Commendation and a Medal of Valor. Several firefighters and a dispatcher were also awarded a commendation and Medal of Valor by Fire Chief Charlie Cribb for their outstanding work during the fire incident, the post states.